The Airstream Basecamp is a single axel adventure mobile. Every square inch of the travel trailer has been designed around outdoor enthusiasts who want to strike the perfect balance between comfort and practical. Unlike many recreational vehicles, which have features designed to detract from your experience of the outdoor world (such as cable TV or large reclining loveseat), the Basecamp is a purist vehicle. The Basecamp could easily be dubbed the “Basecamp” because it contains the basics for comfortable on-the-road living, without anything else. It is this simplicity that attracted us to the trailer. Small, lightweight, easy to tow, handcrafted, well built and practically designed, the Basecamp fit our every need. 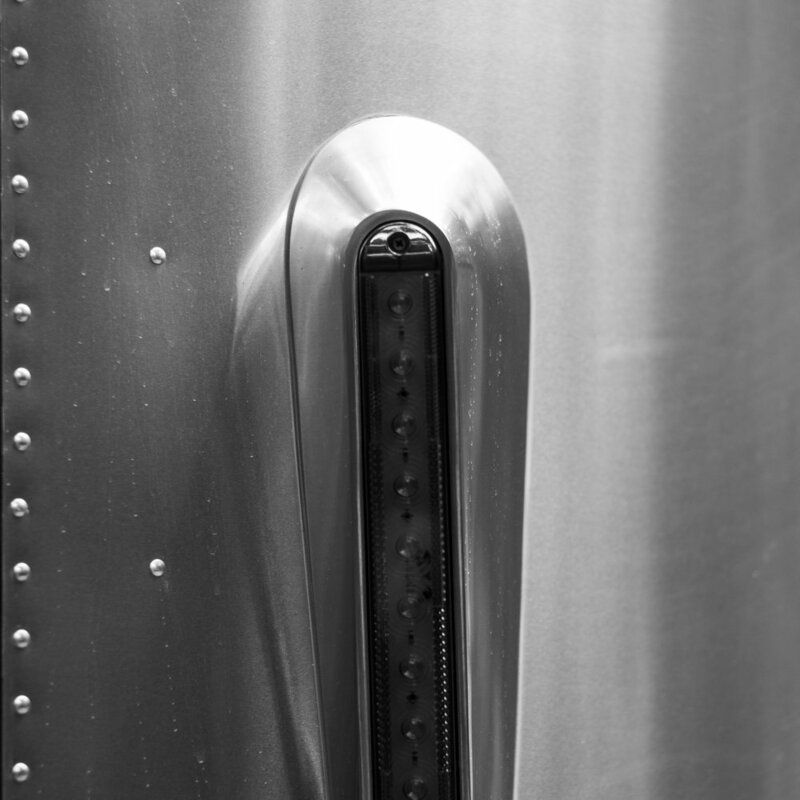 Airstream kept the traditional polished aluminum exteriors that have made these trailers so ubiquitous, but re-shaped it from the normal pill shape to more of a teardrop shape. Light truck tires and sleek aesthetics in the casting of little details like the tail lights add to the intrigue of Basecamp. Surrounding the front and sides are a handful of large windows, offering plenty of natural light. Inside the trailer, you find a retreat from the elements with the comfort of home. A kitchenette with dual burner stove, collapsable sink, ample storage, and combination gas-electric refrigerator offers the traveling chef a place to whip up a delicacy, or a place to prep a sandwich for the trail. Adjacent to the kitchen is a full wet bath; the bathroom is a combination toilet room and shower. In the back of the trailer is a convertible dinette area and near-king sized bed. Switching between bed and kitchen is a pinch, and takes only seconds. The exceptional part of a Basecamp; however, lies in the details. Things like solar panels for eco-friendly electricity generation. Features like the ample overhead cargo storage nets hanging from the ceiling. Convenience from a pass-through shower that allows you to wash your gear off outside. Details like the pull-up USB/electric charging ports or the roll-out screen door. Or travel-friendly design with the rear door that allows for loading of large cargo like a canoe or kayak. Yes, my friends, Airstream thought of everything. To us, the Basecamp represents more than just an adventure-friendly travel vessel… it is the means to an end. We want to experience the best of the United States: the smooth sandstone canyons of Arizona, the frozen tundra of Alaska, and the cool waters of Colorado. In the modern era, those experiences are made available through air travel and hotels, yet that sort of travel removes some of the mystique of living in the environment. 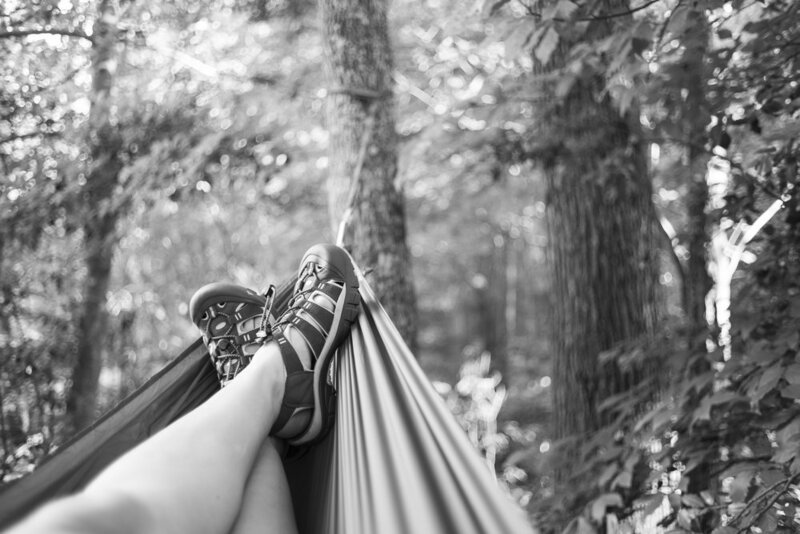 With the Basecamp, we are untethered…free to roam the country unencumbered by hotel reservations or TSA screenings. There is no limit to the scenery we can enjoy or the memories we can make when we are liberated from traditional travel methods. In our search to find the right travel trailer for us, we considered a few other models produced by Airstream. Larger trailers offer amenities such as always available beds, pull out sun awnings, more vast storage space, and expanded living space. We spent a considerable amount of time researching and debating the purchase of a 25 or 27 foot International series trailer because we knew it would be more friendly for long-term travel. Yet the Basecamp kept calling to us with an allure that was hard to place. 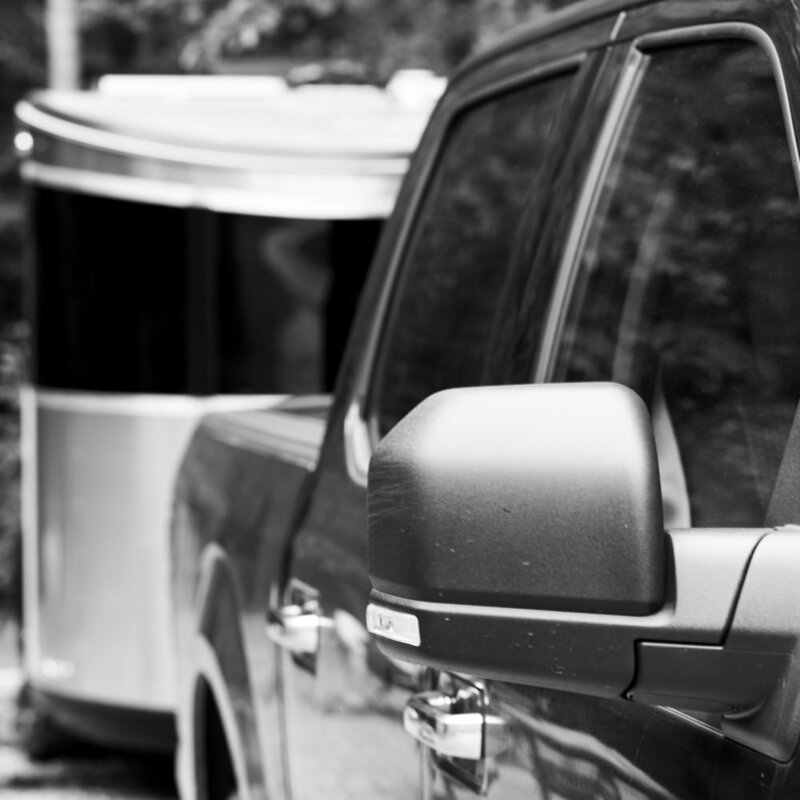 Airstream has a tremendous reputation in the travel trailer industry, and for good reason. They design trailers that are easy to haul, riddled with features, and built to last decades. 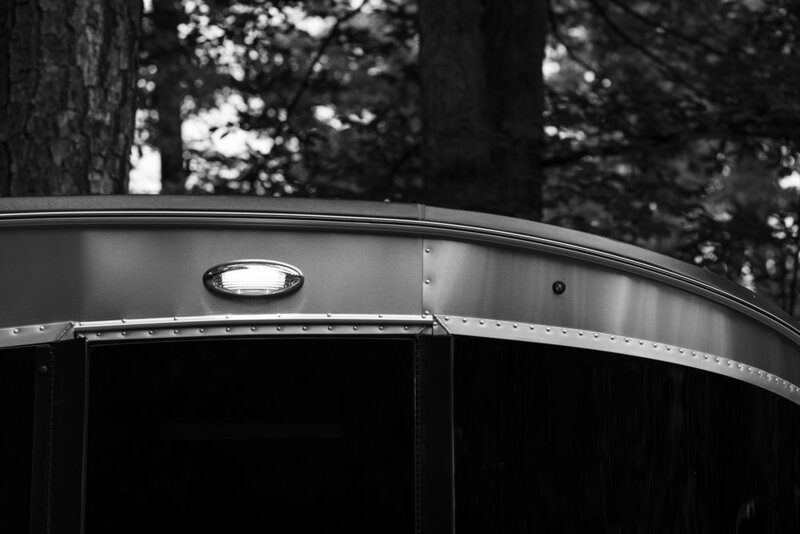 Even today, it’s possible to find Airstream trailers that are over 50 years old still on the road…something you won’t find other brands boasting. Airstream doesn’t cut corners in manufacturing, which is part of the reason their trailers last so long. Instead of particle board and staples holding the furniture together, Airstream uses only plywood and screws and glue. The shell of the trailer is hand riveted and the entire product is made in the USA. 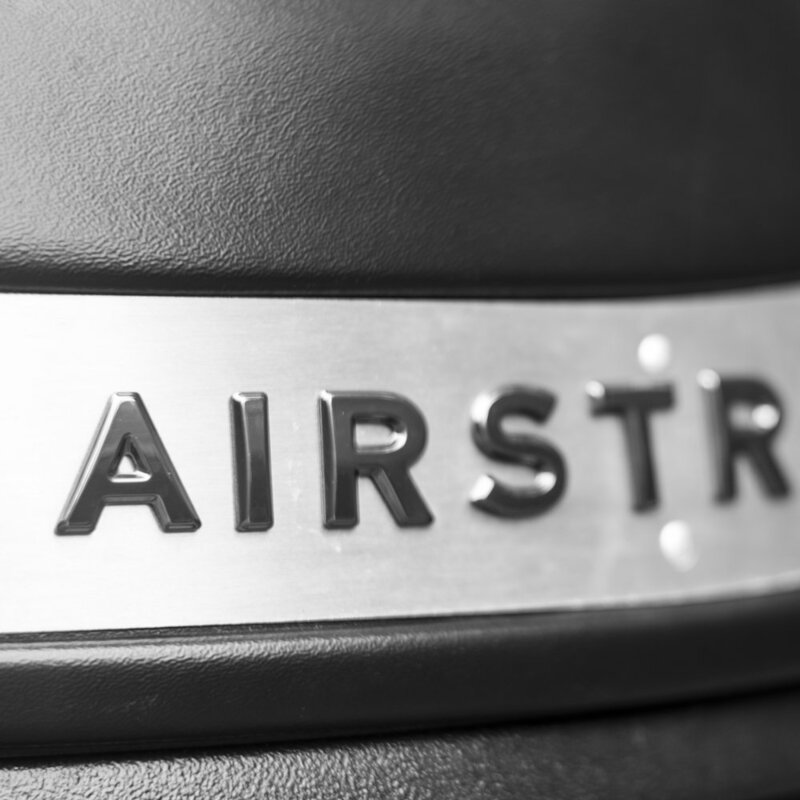 As a result, buying an Airstream is more of an investment than a purchase…. A trailer purchased today will easily withstand the test of time if properly cared for and maintained. To us, this reputation and history of exceptional performance was one of the major contributors to our decision to purchase an Airstream brand trailer. The Basecamp is offered with a number of optional packages. 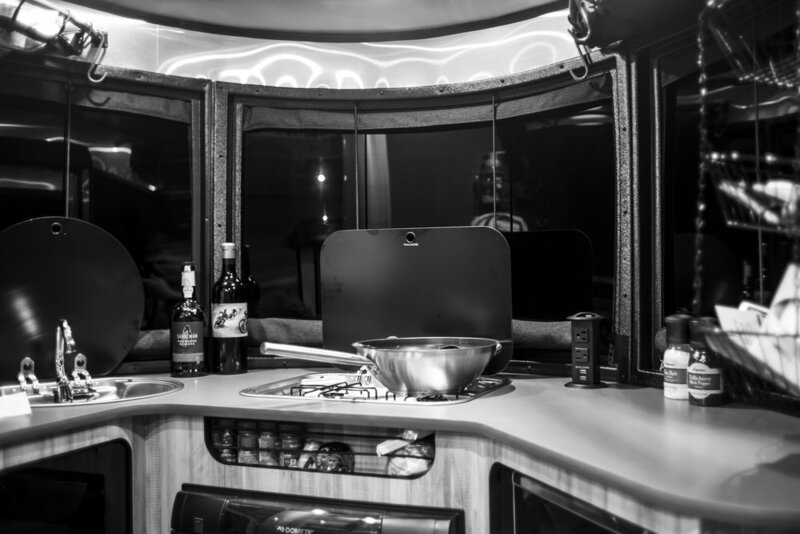 Airstream offers options for a microwave (usable only when plugged into shore power or via generator), air conditioner (requiring 30 amp service), solar panels, and accessory tents and shades. The Basecamp comes in a variety of interior decor finishes, and Airstream introduced an offload package for 2019 models that includes higher ground clearance, larger tires, and stone guards for the front. We opted for a well equipped model, which included the solar package, AC, and microwave...though we are planning to remove the microwave soon. Towing the Basecamp is incredibly easy. I had never towed anything prior to hitching up for our first trip with the Basecamp, but was pleased by how easy it was to manage. I credit much of the ease of towing to our tow vehicle... a 2018 Ford F-150 that has every factory installed towing-related package installed (brake controllers, backup assist, and larger fuel tank). We did not install any anti-sway bar for the towing, and have so far found that we didn't need one. Even when semi-trucks pass us at speed on the highway, I haven't felt any pull from the trailer that would make me wish for anti-sway bars. Airstream's introduction of the redesigned Basecamp in 2017 was a tremendous success; they built a trailer that appeals to outdoor adventure seekers who prioritize comfort, features, and utility above all else. We hope you will follow along with our own Basecamp adventures by checking the blog, and subscribing to the Silver Traverse Instagram. 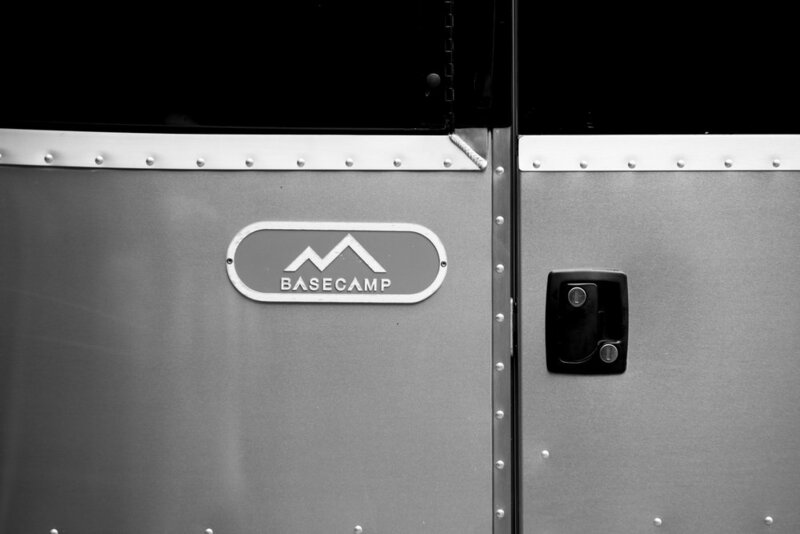 Learn more about the Basecamp on Airstream's website. New Beginnings: How Do You Define Adventure?